See How Easy it is to Enroll Children to Program and Classes! Easily set up all your childcare and school-age programs. Let parents or administrators enroll the children. With little effort you’ll be able to control enrollment, class capacity, scheduling, staffing, and tuition fee billing. 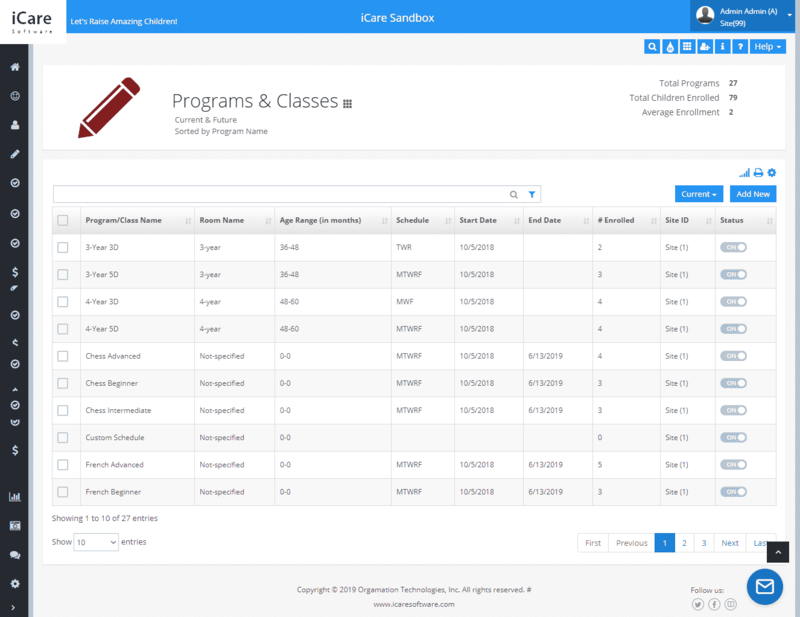 Program/Class Management: A much improved and flexible program and class management feature with simultaneous enrollment in multiple programs. Parent and Admin Options: Flexible options for enrollment by parents allowing what parents can do and what the admin wants to manage. 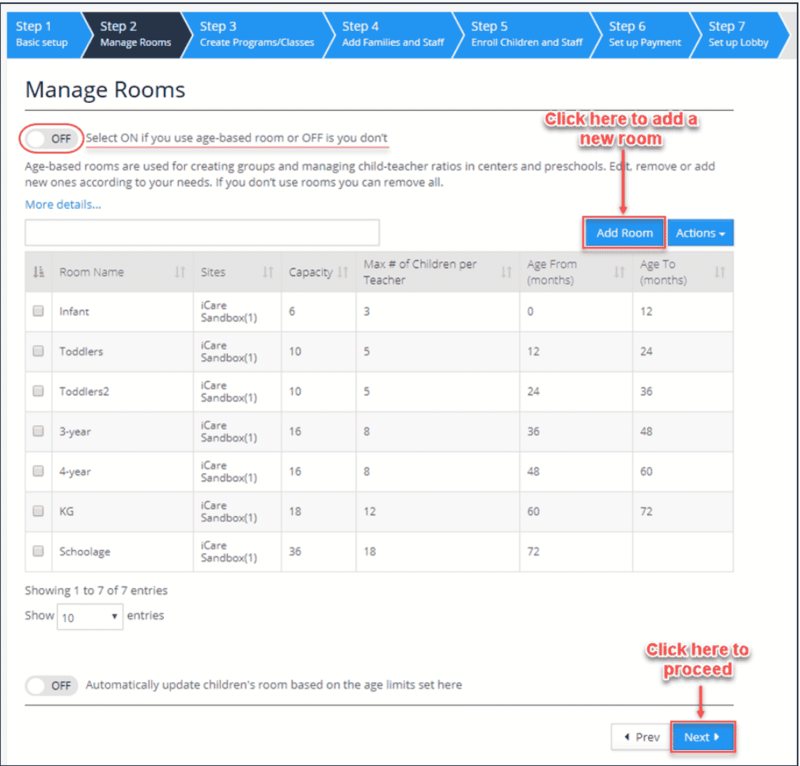 Session Management: – school year, semesters, monthly, etc. allowing ease of enrollment in multiple sessions at a time. Capacity Control: Very flexible room or program capacity management fine-grained at 30-min intervals. Flexible Billing Criteria: based on schedule or attendance or overage charges when attendance is beyond schedule. 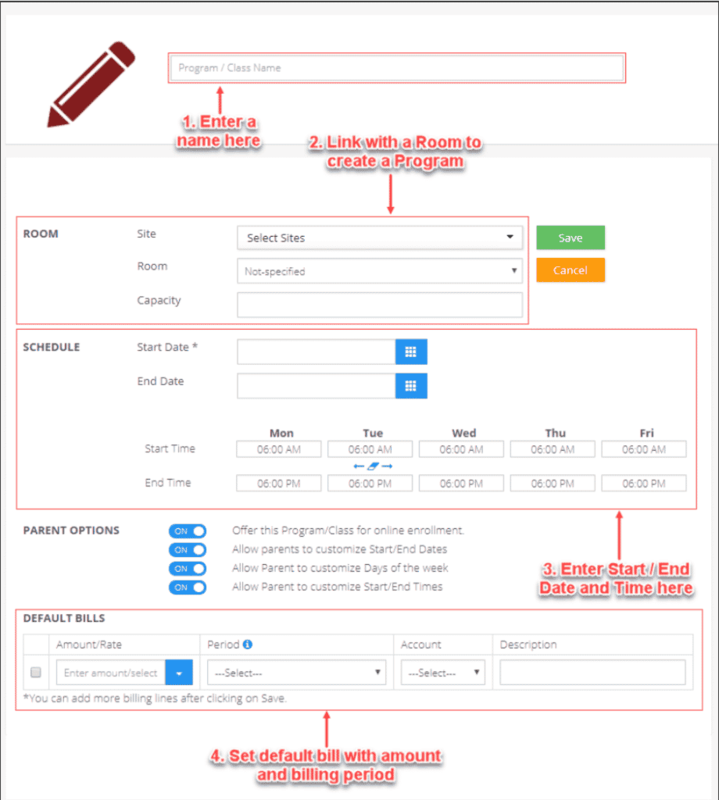 Billing Methods: Automated nightly process; manual Bill Preview and Billing Draft method; Drop-in billing process. iCare is tremendously flexible in setting up your rate chart. Both parts of a child’s bill Amount/Rate and Billing Period – are very easy to setup and fit exactly the way you bill. Programs/Classes: List of all programs and classes. Enrollments: List of children and staff enrollment in programs and classes. Enrollment Summary: Total enrollment of children by program or class. Enrollment History: Children’s all enrollments of current, past and future. Dropped Enrollments: List of children who dropped from a program or class in a given period.